Scene from Friday last week. 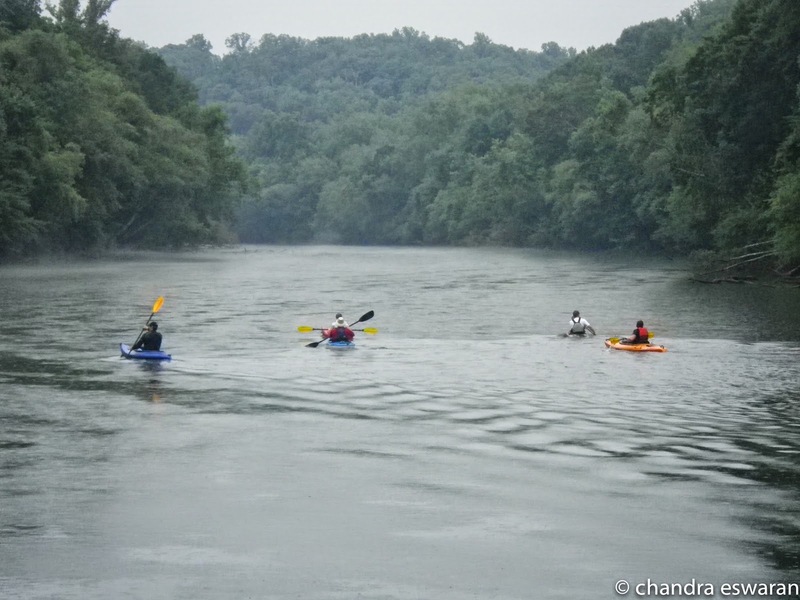 I was headed back from work on the Roswell Riverwalk, when I saw a whole bunch of Kayaks in the Chattahoochee river. 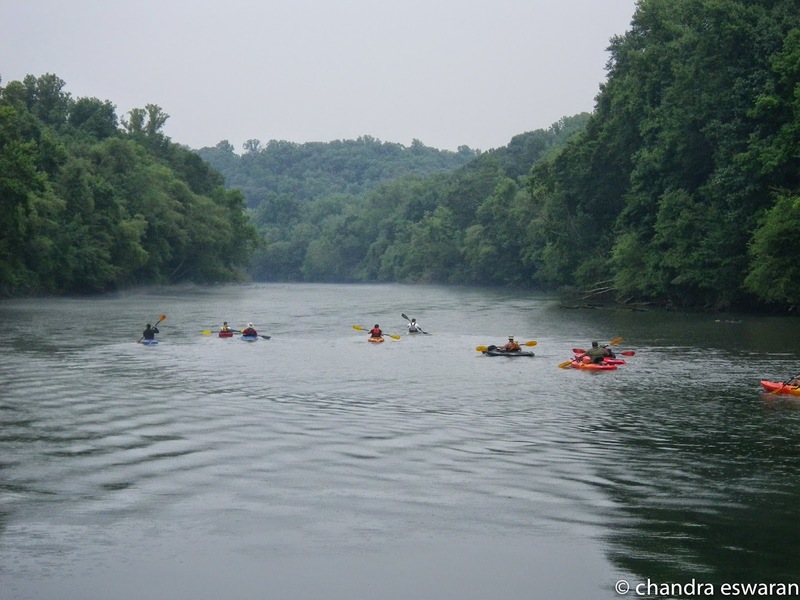 There is usually quite a few kayaks and canoes on the Chattahoochee, but never have I seen several in a group, like this, ever before. It is possible that it is a class or they are all in an event; or, training for something. 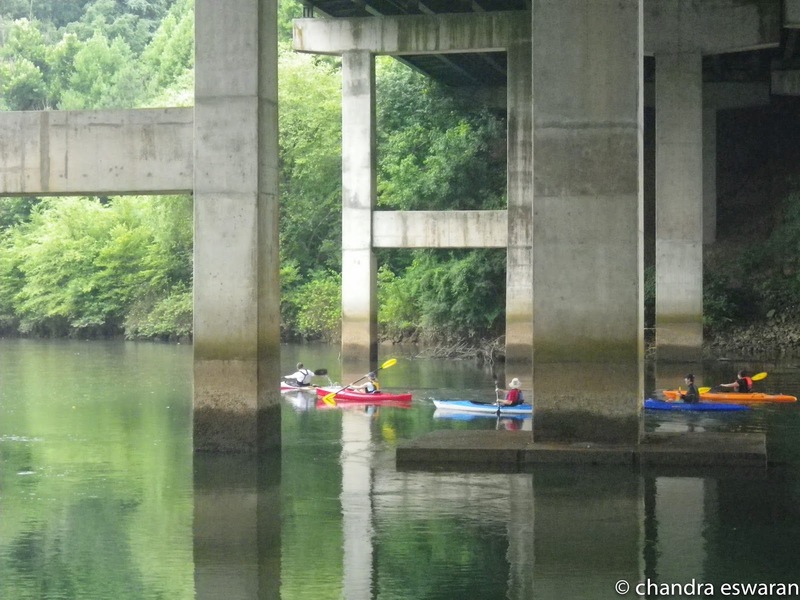 Here you can see the kayakers, closer, when going under GA 400. As I have mentioned in other posts, there is a parking underneath the 400, for those wanting to launch their kayaks at this point in the river. There are several other places for that along the river. Many road cyclists park their automobiles here and start their bicycle ride from this point also. 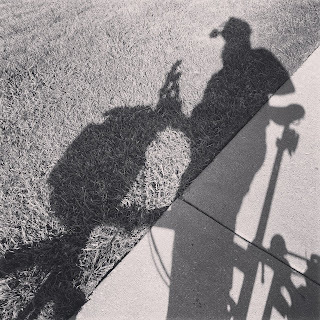 For those interested in exploring cycling in Roswell, there are a lot of beautiful roads one can cycle on. Many of them will challenge you adequately, especially if you love hills and winding roads. 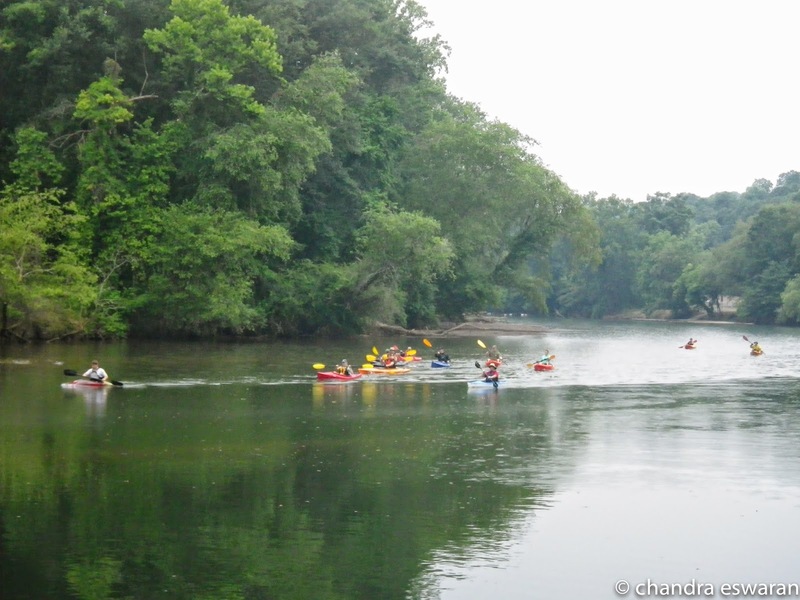 On the other hand, if you would like to go for a relaxing ride with your family or by yourself or a friend or two, the Roswell river walk is relatively flat and is quite scenic and really enjoyable. 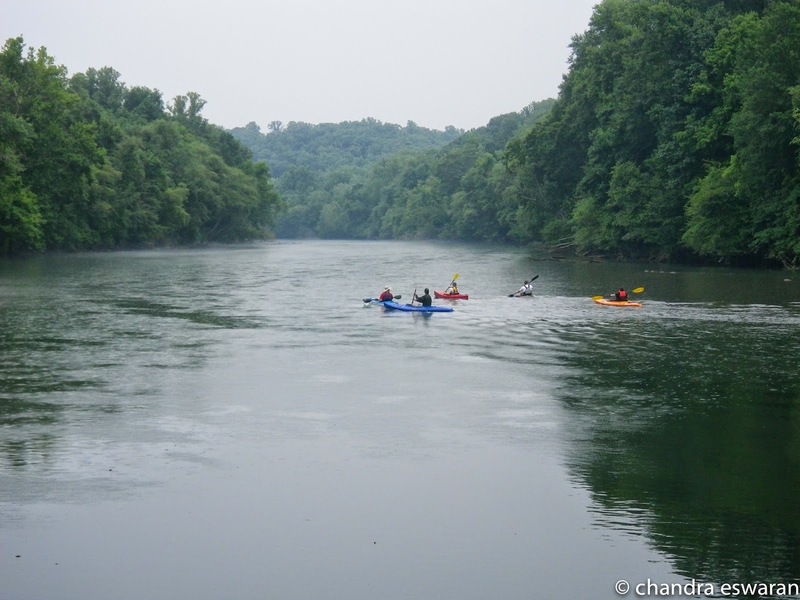 The Chattahoochee is about 430 miles long and is a major river in Georgia. 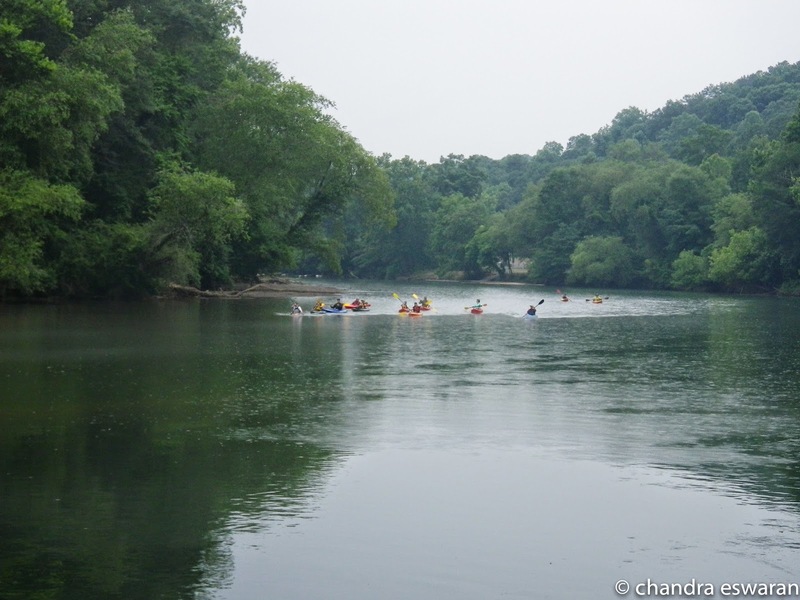 There is more about the Chattahoochee here. I always look at this river and think of the several thousands of lives that travelled on it. I am very curious about this river, in particular, as it is always been a mysterious river to me, especially on foggy days. It has an aura about it that is hard for me to explain, but nevertheless, very powerful.